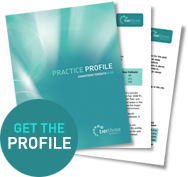 This is a well-established, thriving, very profitable Orthodontic practice with approx. 160 new starts per year. Almost 50% of new patients come from GP referrals. The practice is situated in Montreal, within a professional building, in a densely populated residential/retail area. There is a 4 chair ortho bay, another equipped operatory for records and Pan, lab/sterilization areas, private office, and additional spaces. This is an opportunity to own a very profitable practice and the owner will stay on as a part time associate after the purchase, assuring a smooth transition with minimal risk.